Pest monitoring A simple but effective method for monitoring slugs is to place a handful of slug bait under pieces of scrap wood in the field after an inch or two of rain in late August or September. This also should reveal the presence of juvenile slugs. 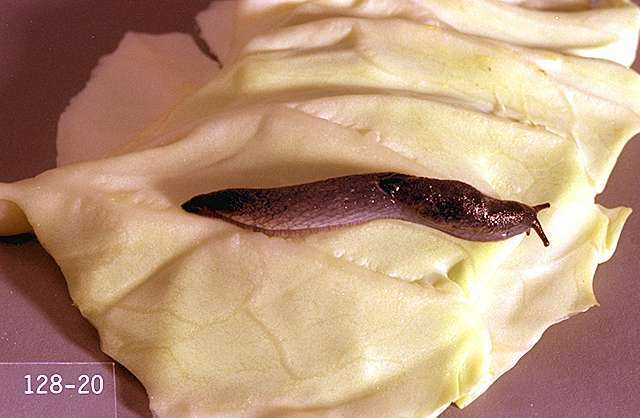 Slugs are particularly active on mild, damp evenings. Slugs tend to be of greater concern on heavy soils, especially if the soil remains in large aggregates which provide slugs with shelter. Dense stands of weeds in field margins encourage populations to build up. Sanitation is important, as it removes food sources and hiding places. Drip irrigation lowers ambient humidity. Rotovating during periods of egg laying can reduce egg numbers. Ducks (particularly female mallards) can be confined in the planting periodically. They seek out and eat small slugs. iron (ferric) phosphate bait-Slower activity than metaldehyde baits, and application rate is three to four times higher than that of metaldehyde. Some formulations are OMRI-listed for organic use. 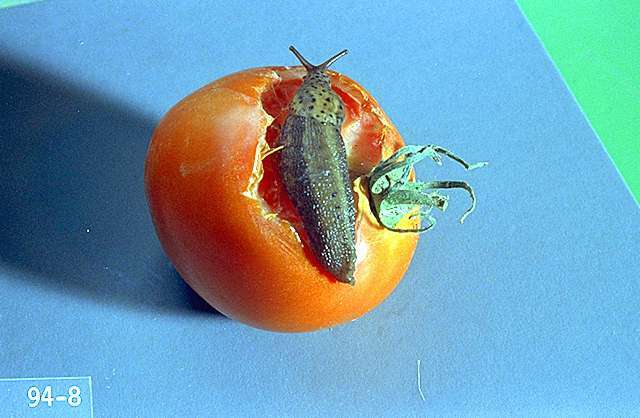 iron phosphate + spinosad (Bonide Bug and Slug Killer) at 0.1 to 0.44 lb ai/a iron phosphate. PHI 2 days. REI 4 hr. Retreatment interval 7 days. metaldehyde baits-Do not contaminate edible plant parts. Use as needed, but not more often than once per week.